Autoresponders are some of the most valuable tools for email marketers who want to engage, inspire and motivate their current contacts and new leads, and make sure that customers feel involved with the brand. Through the use of autoresponders, companies can make customers feel like they’re getting a personal experience, and like the company truly cares about keeping them happy and engaged. It’s an invaluable tool, and one that can be very effective for your business if you do it the right way. Best of all, setting them up is usually free and easy if you are already using any of the top email delivery platforms on the internet today. All it takes is a great set of emails, scheduling them out, and letting the automation and email platform do the work for you! Here are five resources on how to make a great autoresponder series. Do you have a goal for your autoresponder series? That’s the first and most important question to ask yourself before you begin – there’s absolutely no point in developing and creating an autoresponder series if you don’t have a clear, actionable goal to start with. And, even if you have a clear goal in your mind when developing your autoresponder, you need to ask yourself if your customers will be able to recognize the goal. Without a call to action in place, there is no way to measure results and increase conversions. For example, if you’re a shoe company and a customer has just made a purchase on your site, and they receive an autoresponder email detailing their recent purchase and a link to the site. What are they supposed to do with the email? Visit the site again to make another purchase? Why would they do that? There’s no clear goal, and there’s no benefit to simply placing the link to your site again in this autoresponder email. In this case, you might instead send them a confirmation autoresponder email thanking them for their recent purchase, and then send them options that they might like for next time – you bought those shoes, so you might like these shoes and other accessories, and here’s a coupon for 25% off if you come back and shop within two weeks of your recent purchase. Now, they have a clear actionable goal to act on – you’re offering them other options that they like, and they get a discount if they come back to the site. This is by far the most important thing to consider when making a great autoresponder series. When do you send autoresponders? It’s true, your customers can get email fatigue if they receive too many autoresponders from you. Many companies set them up on a timed basis – so sending an autoresponder three days after a site visit or purchase, one week after, and two weeks after. It’s a great way to keep your brand in the forefront of your customer’s mind and to make sure that they’re considering you for future purchases, but you have to make sure each time, there’s a clear reason why you’re sending it. A great time to send customers an autoresponder is when they’ve abandoned their shopping cart. They’re the perfect audience because they like items on your site, but they’ve abandoned it for whatever reason, and you can quickly tempt them back with a timed email right after they leave. This method works extremely well across all niche markets. Setting up an autoresponder is often quite simple and just a matter of creating new emails and moving them into a specific order on your email platform. You can see an example of what this might look like in when using Aweber, in the screenshot below. This is how you might want to lay out your autoresponder series with a finance based site. If your customers make a purchase on your site, a week or two weeks later is a great time to send an autoresponder. Show them the newest products coming online, a coupon for their next purchase, or similar items to the ones they purchased previously. Just keeping at the top of their mind before they go shopping again is the goal for sending these messages. Is a welcome message still a good option? Yes – customers have come to expect welcome messages from sites they register their email on, and they may worry that they’ve done something wrong if they don’t receive it. Plus, welcome messages are a great way to let them know more about the brand, what they can expect to receive from you, and where they can go from here. Think of it as a friendly introduction – offer them a handshake, a little bit about you, and then when they can expect to see you again. If you’d like to see an example of a welcome message being used by other top companies, websites, and brands, we recommend you take a look at this article from OptinMonster. It’s loaded with a bunch of templates and actual brand emails that are sent out to subscribers when they first join a list. What about a goodbye email? On the other end of the spectrum, farewell autoresponders are a great opportunity to keep customers. Sound unreasonable? Not at all! If a customer unsubscribes from your mailing list for any reason, it’s always a good idea to send them a follow-up email confirming their unsubscribe, but also offering them a chance to come back. Whether you offer them a significant discount for returning, or serve up content that might tempt them into returning, or offering them an outlet for explaining why they unsubscribed, you’re putting the power into their hands and also gaining a chance to get them back. For example, a customer unsubscribes from a food delivery company, without specifying the reason. The autoresponder email that they receive after they unsubscribe confirms their email is removed from the list, and then offers them a 50% discount if they subscribe again within two weeks. If the customer left because of price, that immediately draws them back in and you have your customer back. Every autoresponder email should offer your customer something that they can use – whether it’s information, a discount code, a way to connect with you on different platforms – they need to serve a purpose and it must be a purpose that’s relevant to your customers, and not just to you as the business. Put a little personality and brand into your emails so that your customers know who you are and what you offer. You want them to know who you are and what your company offers, so that they feel like they’re included and involved in the experience. And, keep it short and scannable. Customers know when they’re getting an autoresponder, so you want to make sure it’s something they want to read and can read in less than a minute. By making it short, you make it easy on them to read through it, decide if they want to act on the call to action, and then move on. 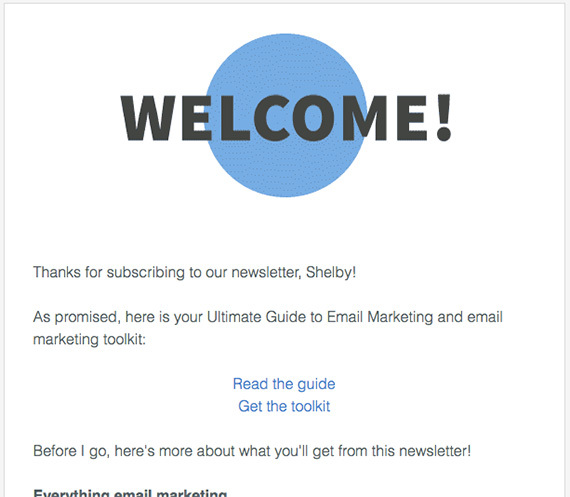 Email marketing is great, and you can follow actionable tips and user guides all day. But if you don’t have the necessary subscriber reach and daily growth, all of your efforts will be in vain. AfterOffers is here to help solve that problem. Through the use of our 100% opt-in email technology, we can double the size of your mailing list in no time. Best of all, we have no contracts, daily minimums, and only work with the best site partners and advertisers to deliver the best quality leads possible. To learn more about this process and get started with a campaign of your own, contact us today.